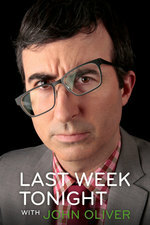 Last Week Tonight with John Oliver: Stupid Watergate II: Fox News' Cries Of "Witch Hunt"
- The Philippines: "The southeast Asian island that is, and not the teenage fan club for Prince Phillip." - Rodrigo Duterte: "Authoritarian strongman and aspiring Street Fighter II character." - Stupid Watergate: "A scandal potentially on the scale of Watergate, but where everyone involved is dumb and terrible and bad at everything." Not just Yelp reviews: three star Yelp reviews. As a big fan of one star reviews of national parks on TripAdvisor I was delighted by this. I hadn't realized how great three star reviews are: they didn't love it, they didn't hate it but they do have some banal-but-picky observations to share.